The festival weekend all leads up to this... the annual Teen Indie Awards Show and IMAX Blue Carpet. Every year we announce the festival winners and give out over $400,000 in prizes and scholarships! 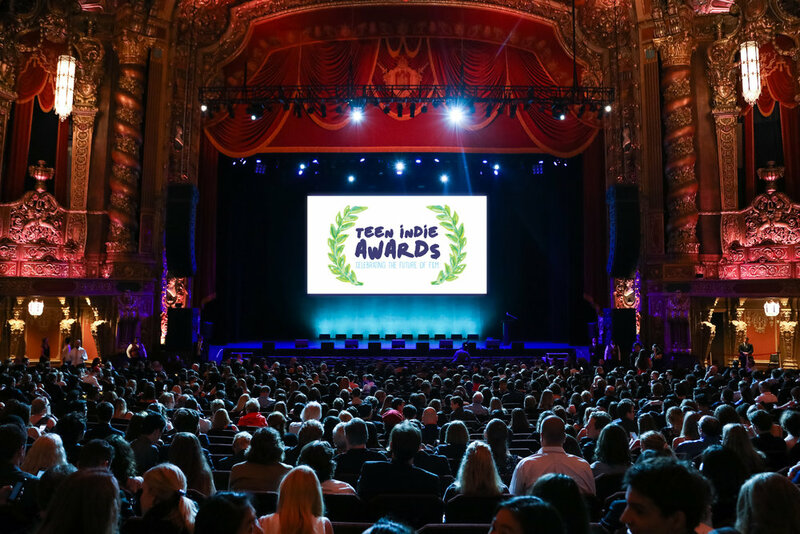 Hosted by filmmaker and festival founder Andrew Jenks, we provide our young filmmakers with the awards and recognition they deserve. Walk the IMAX Blue Carpet with your friends and family and then sit back and cross your fingers. The Teen Indie Awards Show and IMAX Blue Carpet is a "Red Carpet Event". You are not required to wear anything in particular but we encourage our young filmmakers to look their best. There will be a lot of press and photographers so wear your best suit or dress and don't forget to express yourself! If you still don't know what to wear check out the photos below and use the event as an excuse to go shopping! There will be the option to purchase tickets for a seat on a chartered bus that will take you from Manhattan (location TBA) to The Kings Theatre. The bus will also provide transportation back to Manhattan after the show is over. You are not required to purchase a bus ticket to attend the Teen Indie Awards, you can get to The Kings Theatre any way you please, but the bus is recommended. Bus tickets must be purchased in advance. No bus tickets will be sold at the festival. A link to purchase bus tickets will be available closer to the festival date.